The second day at the Great Langdale campsite saw us leave the bikes and pick up the ice axe for a walk exploring Crinkle Crags at the head of the valley. 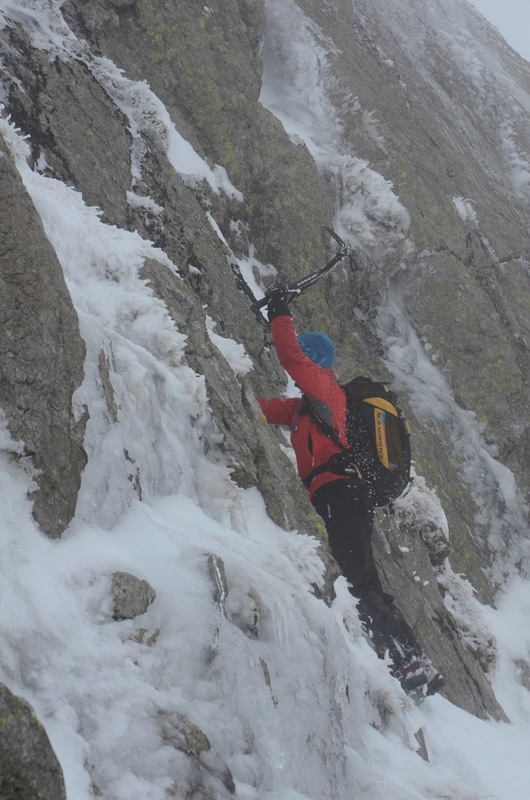 It dawned on us as we looked at the view and the weather forecast that the view maybe not as great from the top but still conditions were good! The walk in was flat and felt like you were in an amphitheater of snow capped lakeland fells! Our route took us across Oxendale beck and around Great Knott and onto explore the crinkles! Slippery under foot meant concentration was required at all times but that was difficult with such a stunning panorama! 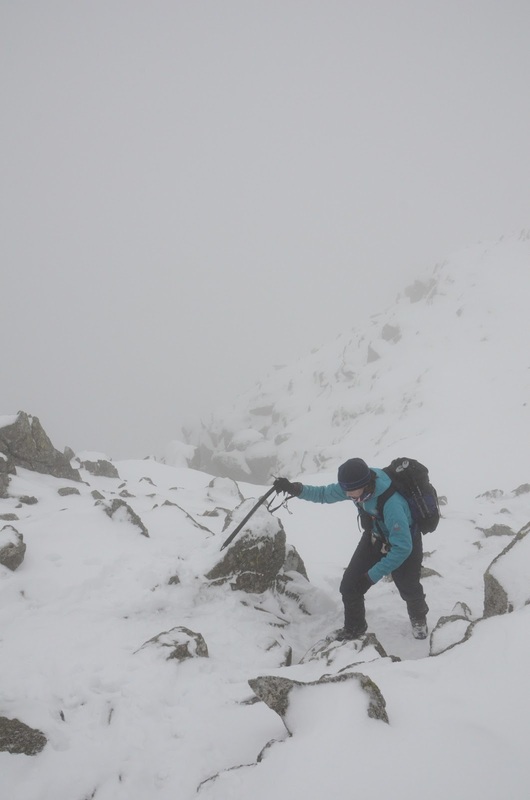 It was not long before we were in the cloud and relied on bearings and our navigation to traverse Crinkle Crags. Visibility varied along the route and it was easy to see how people get lost and in trouble in this environment! After lunch it was time to find our exit before Bowfell and head back to the campsite! Luckily our catching feature was Bowfell itself as the path was not going to be easy to find in these conditions even though it was by the 3 tarns! So as we started to ascend we realised we had found Bowfell!! Re- tracing our footsteps we soon found the path and were already discussing the much needed cup of tea! The walk back to the valley was down what they call The Band descending to Stool End. The route dropped us onto our original path and it was not long before the kettle was on and we were discussing enthusiastically how great the weekend had been and how lucky we were to have all this on our door step!